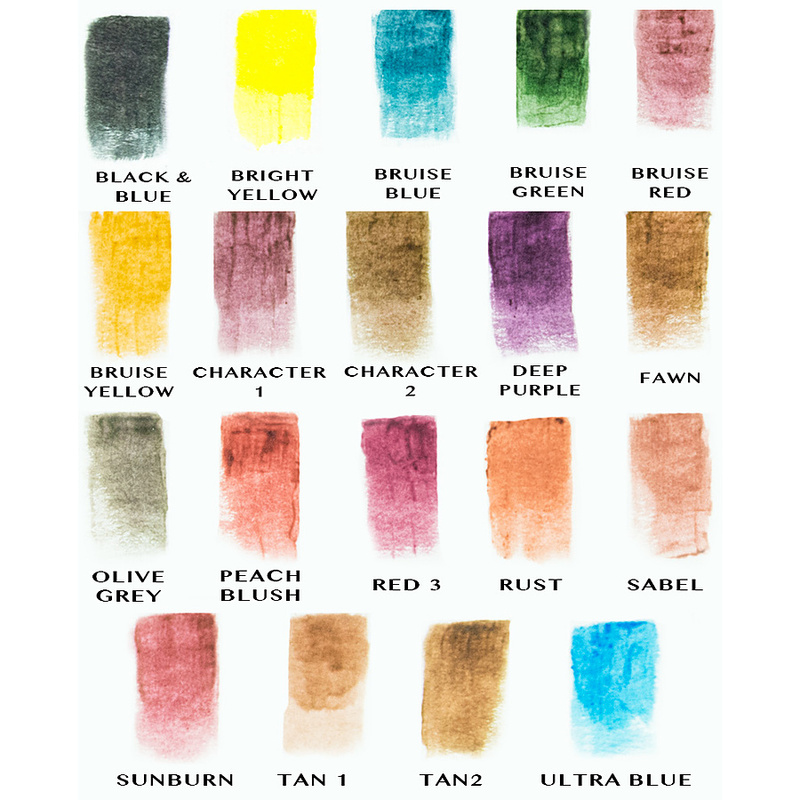 Glazing Gels are a collection of water based transparent colours which allow you to do bruise and injury work directly onto the skin. Designed for extreme close-up work, Glazing Gels wear exceptionally well for the demands of High Definition Film and Television work. From subtle to over the top, Glazing Gels allow you to create realistic sunburn, freckles, shadows and illnesses that look like they’re in the skin, not on the skin. Ready to use right out of the bottle, Glazing Gel colours offers and endless variety of effect possibilities. The age of HD is here, and no matter what is asked of you, it has to look great. Glazing Gels create that realistic subtlety that you just can’t get with heavier SPFX materials. Glazing Gels have also been used in Beauty. As an eye gel, it is much more flattering than makeup that sits on top of the skin. The Glazing Gels looks like it is part of your skin.